Thanks for Viewing my page. 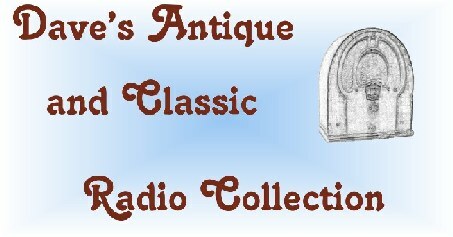 I Collect and restore Antique and Classic radios. I restore them electronically and refinish them, as needed. All are old "tube" type radios. I have approximately 60 radios in my collection. The oldest is a 1925 Stewart Warner Model 300 and a 1925 Atwater Kent Model 20. I always have four or five radios "waiting in the wings" for restoration. There are many reasons people collect and restore old radios. For me, I enjoy restoring a 40, 50 or 60 year old piece of history. There is nothing like the deep, mellow sound of a old tube radio. Click on the links, bellow to view photos of some of my radios. While you are viewing them, think about someone 40 or 50 years ago, sitting around and listening to a old radio program. View the Photos of some Great Old Radios..
Me, Working in "My Little Corner OF The Garage"
On This One, Someone Attempted Repair And Stopped Without Finishing. It Took Me Quite Awhile To Straighten It Out. Another Guild Novielty Tube Radio. This One Looks Like A Old Fashion Telephone. Lift The Ear Piece To Turn It On. Turn The Crank To Select The Stations. Very Nice Wood Radio, With A Tenite Face Plate. Questions or Comments? Email Me..